Excellent experience buying my new lotus. I ordered the car from the factory so the process was longer than a typical drive out purchase. Throughout the process Jeffrey worked hard to keep me informed of the progress. Once the car arrived, the pick up / purchase experience was excellent. Jeffrey and the dealer worked hard to go the extra mile to make the purchase memorable. Also great follow-up after the sale to make sure we were happy. I would definately look to purchase from Jeffrey and this dealer again. Outstanding service and experience. I was not having much success in dealing with my local Houston Lotus dealer, Jeffrey did an excellent job in earning my business and making my trip to Austin worthwhile. Very friendly sales person. He found answers to questions I asked. Good follow up, but not pushy. I had technical questions, and got a call back from the staff mechanic who satisfactorily answered all my questions. The rest of this sentence is to fill the 250 character minimum. 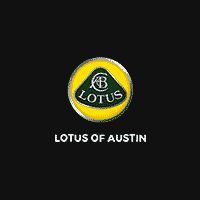 Thank you for making your way to Lotus of Austin, your certified Lotus dealer serving drivers throughout Austin and the surrounding areas. At our dealership, you’ll find a solid selection of new Lotus for sale, as well as a carefully inspected lineup of pre-owned vehicles. We also have a well-connected finance center run by a qualified team of finance experts, who can help you get the right loan or lease in a quick, easy, and transparent manner. Our commitment to our customers continues well beyond the date of purchase. We also have a professional team of Lotus technicians on hand with the skills and equipment to handle all manner of maintenance and repairs, as well as a full stock of authentic parts. Make your way to Lotus of Austin in Austin today for quality vehicles, a friendly team, and professional service at every step of the way. And if you have any questions for us, you can always get in touch at 512-355-1661.